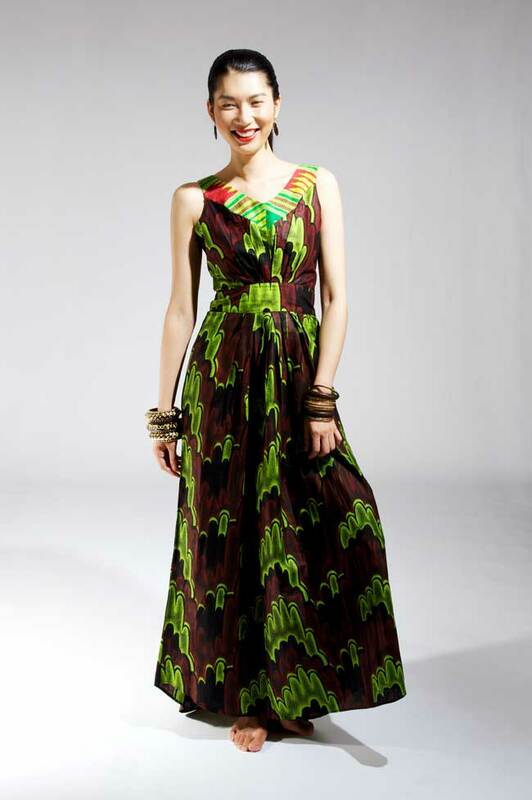 Shot by Melinda DiMauro Photography, rising Ghanaian fashion designer Naana B unveiled her bright, colorful Spring/Summer 2012 collection that she handcrafted using rich Ghanaian Kente fabric accents. Yes CulturalToast.com readers, the wait is finally over! For those who fell in love with Naana B’s collection when it appeared in Teen Vogue or when Oluchi wore her designs for a Nigerian high-fashion shoot, Naana B is back with a huge bang…and it’s just in time for the festive holiday season! This collection provides much of the same aesethic that Naana is known for – fitted silhouttees, vibrant prints, and glamourous womenswear that take the ideal Naana B customer from day to night. The collection offers something chic and classic for every woman. Celebrities also shares CulturalToast.com’s enthusiam for Naana B! R&B singer Mya was also seen rocking a Naana B python clutch from the Vixen Collection at the 2010 International Dance Music Awards! 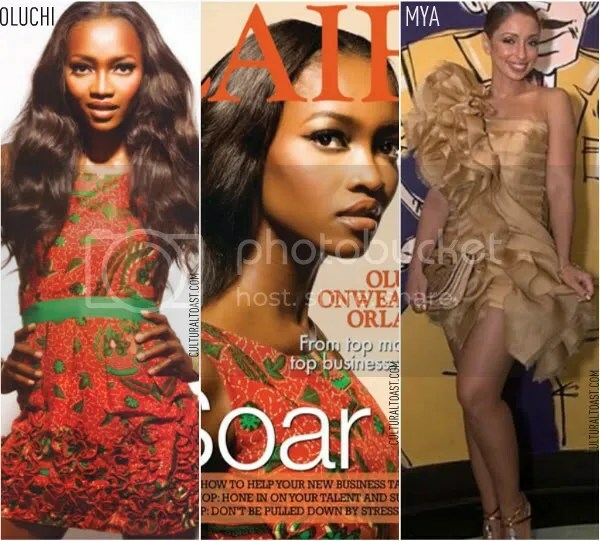 Supermodel Oluchi wore a Naana B Prine of the Valley Cocktail dress for a FLARE Magazine cover and editorial shoot! Georgia NY welcomed Naana B last year for her sample sale as CulturalToast.com reported on. 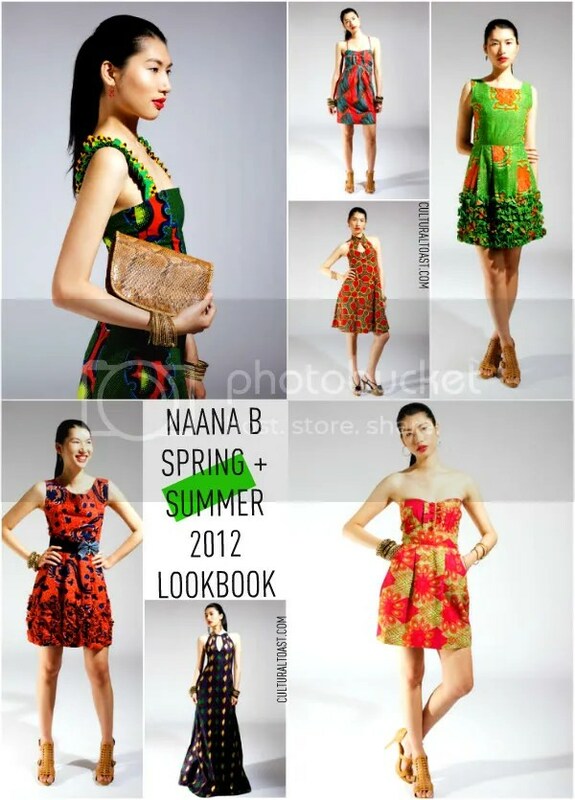 We’re keeping our fingers crossed for another swanky sample sale in the city from Naana! Check out the new lookbook featuring model Shirley Tan which also features the famous python snakeskin leather clutch from the Vixen Collection. What’s your favorite style pick from Naana B’s Spring/Summer 2012 collection? New York Fashion Week saw plenty of African fashion designs lifted straight from the runway to the coveted front row. 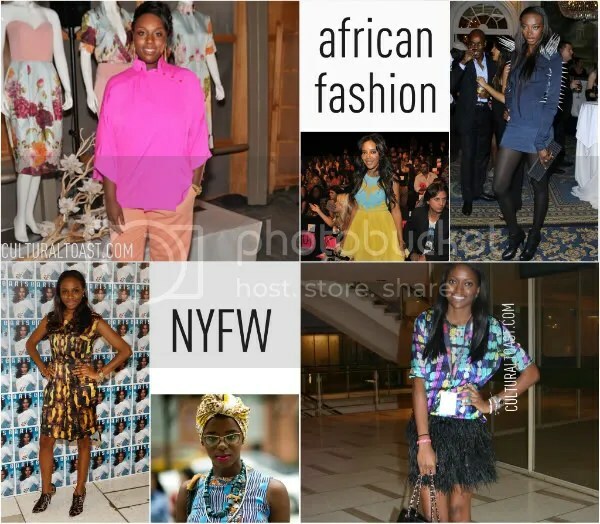 African fashion was worn on notable fashionable mavens like Georgie Badiel, Angela Simmons, Lisa Folawiyo, Joy Adaeze, Zara Okpara, and Mimi Plange during New York Fashion Week. CulturalToast.com takes a look back at how the runway looks were translated on our favorite celebrities and designers. 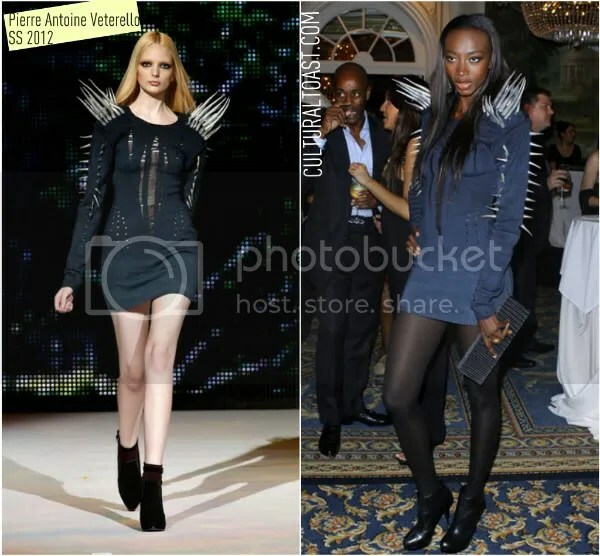 Georgie Badiel, one of the African fashion industry’s favorite IT girl, was seen in this avant-garde spiked ombre Pierre Antoine Veterello SS 2012 dress. 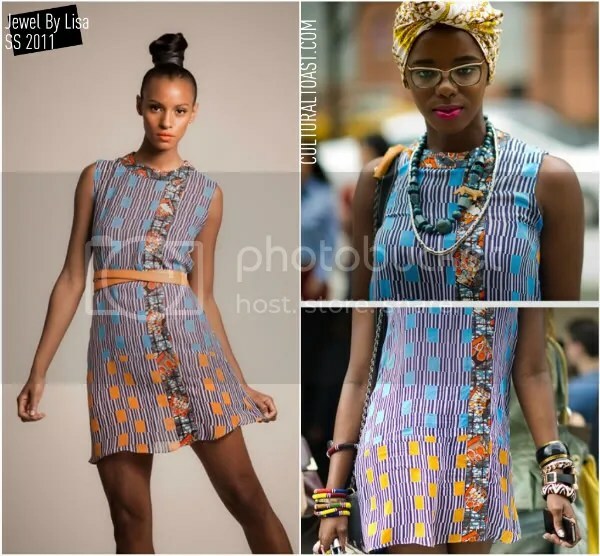 To attend the Betsey Johnson NYFW show, Angela Simmons, co-owner of footwear and apparel line Pastry, was styled by Nigerian celebrity stylist Kanayo Ebi in this gorgeous yellow and turquoise beaded, silk dress from Virgos Lounge’s newly release Resort 2012 collection. 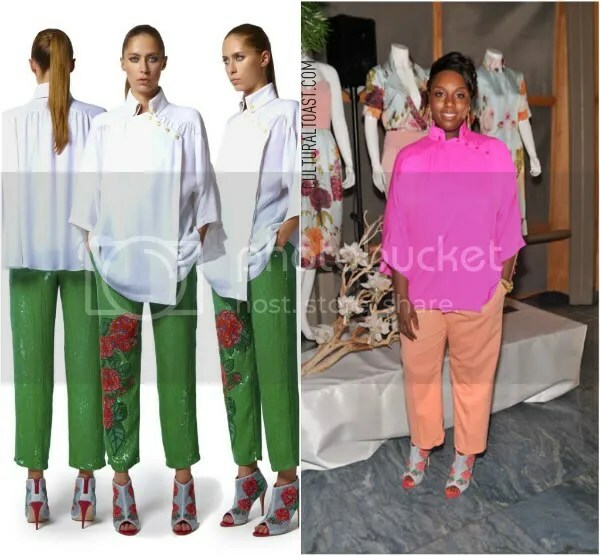 To present her A Flower in The Desert Spring/Summer 2012 collection, Mimi Plange of Ghana wore a hot pink Victorian-inspired button blouse with a pair of Manolo Blahnik for Mimi Plange booties. 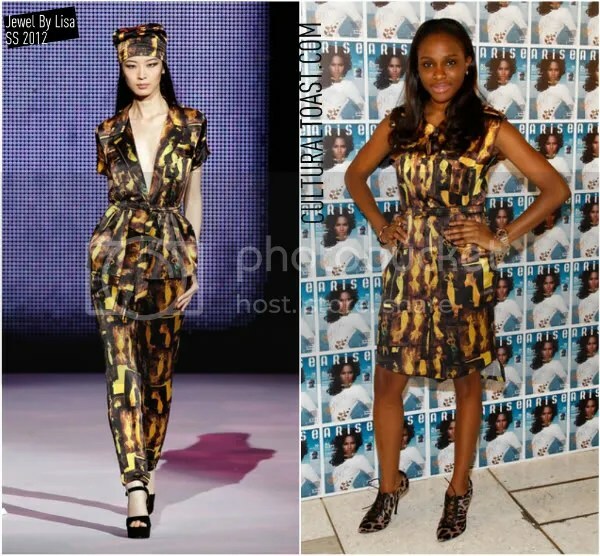 Lisa Folawiyo wore a modifed silk printed Jewel By Lisa Spring/Summer 2012 shirt dress to unveil her Arise Made in Africa runway collection. 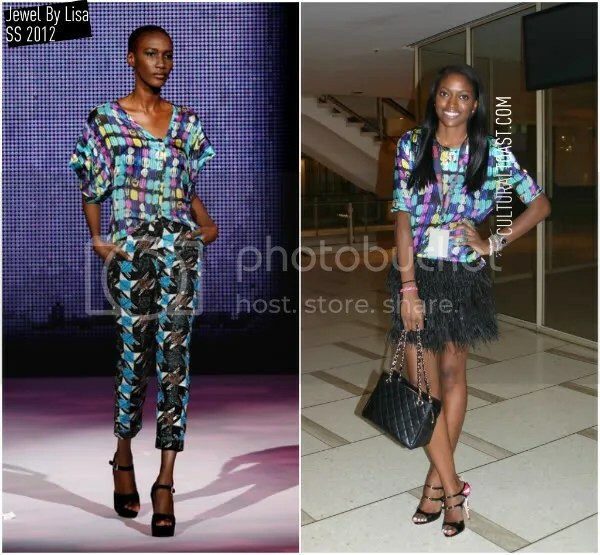 Publicist to Jewel By Lisa, Zara Okpara wore a multi-printed silk blouse (worn backwards) with a black feather skirt from JBL’s newly release Spring/Summer 2012 collection. We love her Chanel flap bag! Executive assistant to Essence Magazine’s Online Editor-in-Chief and celebrity stylist Joy Adaeze wore a Jewel By Lisa Spring 2011 dress with floral printed Topshop platform heels and Me Char chain bag to attend the Arise Made in Africa SS 2012 show. 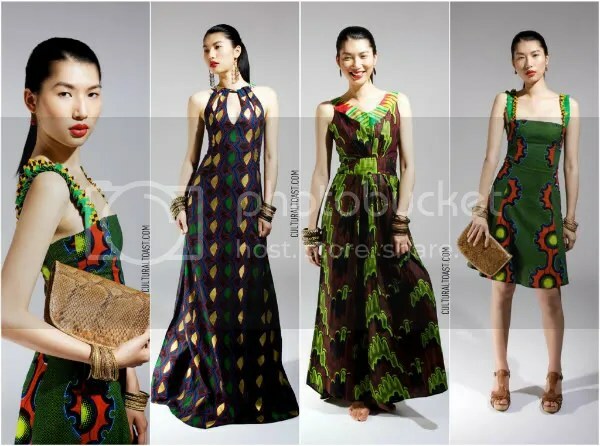 Famed Nigerian, New York-based fashion designer and stylist Tori Famuyiwa has just release a sneak preview of his upcoming collection, Age of Decadence. 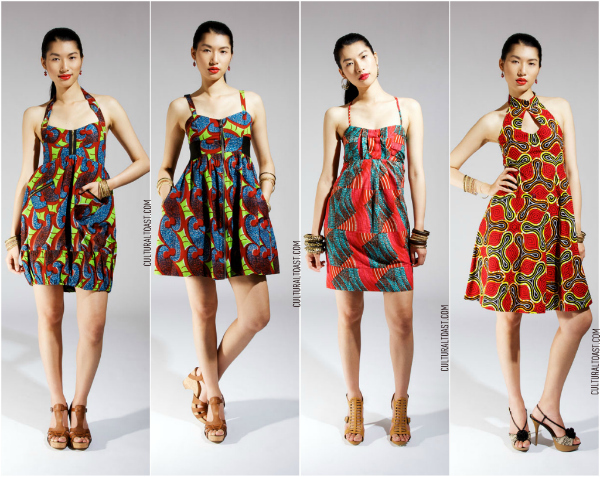 The six glamorous snapshots showcases Tori’s true aesthetic to African prints and elegance. 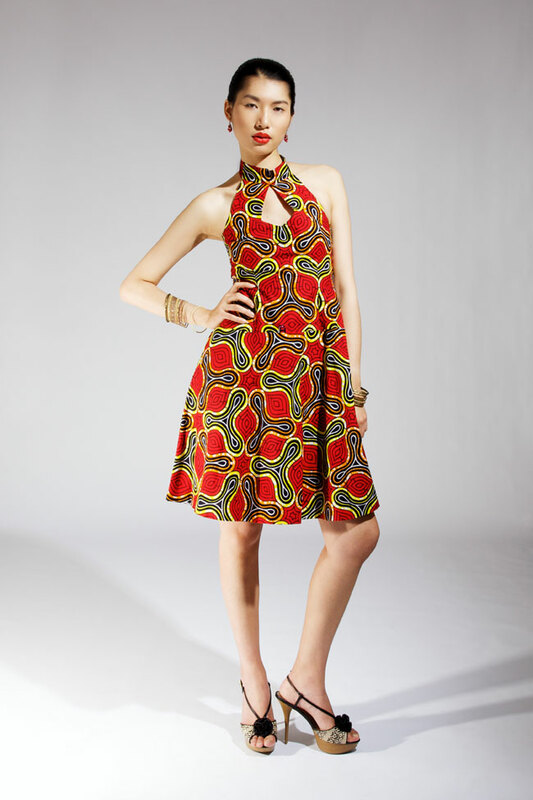 We love the stitching and bold use of prints! 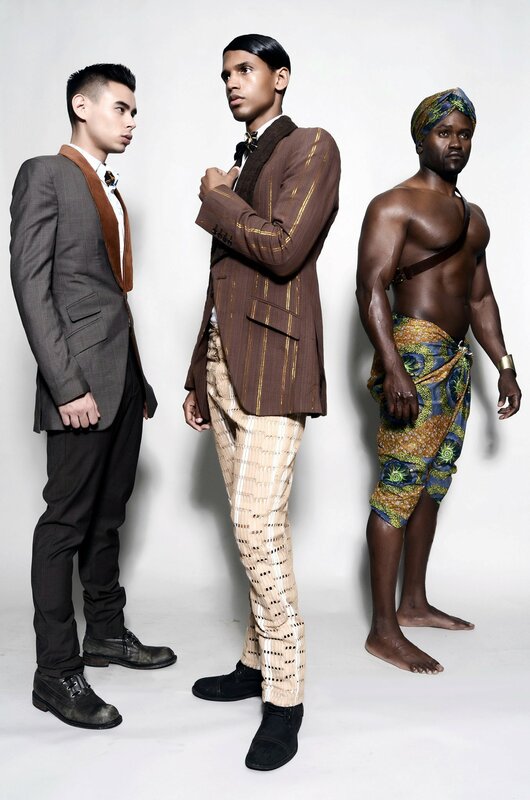 Accessories used in the photo shoot was by upcoming Ghanaian accessories it girl Designs by U.
Tori just wrapped up Africa Fashion Week New York where he worked as the executive stylist. He also can be found as a stylist for Munaluchi Bridal Magazine. We salute Tori Famuyiwa!